Coping with the loss of a loved one is a difficult experience. This can be compounded the secondary loss of shared activities and life contributions made by those who have died. Often times secondary loses are overlooked but still cause an immense impact on someone who is grieving. 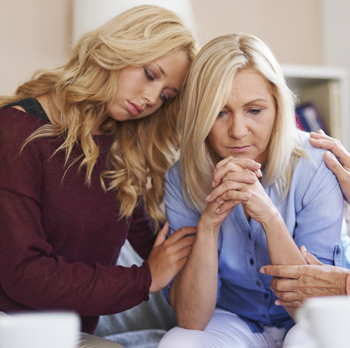 These secondary losses have a ripple effect on loved ones. Secondary losses are encountered over time, rather than all at once. For those who are grieving, these losses began to unfold as you continue on with your everyday life. They can appear in many different forms and affect each person differently. After the death of a loved one, it can be hard to carry on with your daily life. It may seem like every little thing you encounter reminds you of them. It can be hard to vision new memories without that person there. For instance, you may have always attended your favorite baseball team’s opening day or shared an annual vacation to the beach. Or even weekly events such as going dancing or eating at a favorite restaurant. This loss can also affect you in other ways such as the loss of income leading to a negative impact to your financial security. In addition, if they were the one to manage the finances, you could be clueless on when and what bills need to be paid. Depending on the role this person played, you may have to restructure your life to pick up the tasks they use to perform. When simple things needed fixed around the house they were always there to manage the home repairs, but now you will need to hire a professional. These are common things you grow accustom to and don’t affect you till a major piece is removed from the scenario. There are several heathy ways to cope with secondary losses. One way is to create a special memento to preserve the memory of shared experiences/rituals. This could be by creating a scrapbook that showcases all the precious memories shared with a loved one. You could also find new ways to enjoy your shared interests such as picking up a dance class. As for your financial security, don’t hesitate to reach out to family and friends. You can also seek assistance from professionals for guidance in your financial matters. Additionally, you will need to get help with taking over managing new tasks formerly done by your loved one. This could mean rearranging your daily schedule to include new tasks or hiring a handy man. Family and friends will be your biggest support system and will help to guide you through managing secondary losses. It is also very important to take care of yourself. Each person grieves differently and there are many resources available to help. With the support of trusted family, friends and grief professionals, everyone can find a healthy grieving method to fit their needs.